Original Triangle Series. 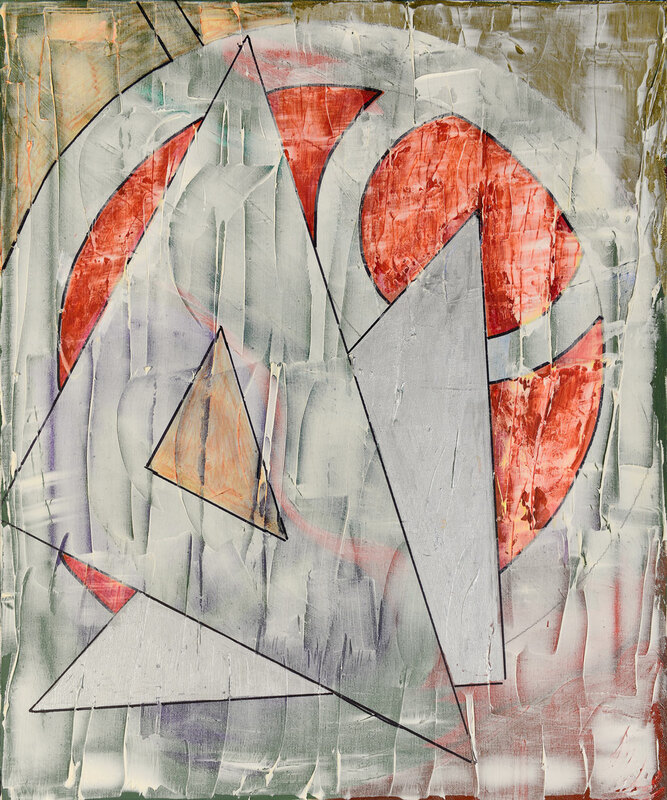 Triangles and Circular Elements in Red, Gold, Silver and Green with a Touch of Orange. Acrylic and oil markers over original 1989 green oil base with heavy spackle paste overlay (muted) on stretched studio canvas.